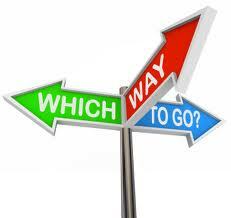 Some investment advisors provide financial advice, but they require you to make the final decisions. For example, these investment advisors will recommend the purchase of a mutual fund, but you have to approve the recommendation before it is acted on. These investment advisors are also known as non-discretionary advisors or financial consultants. Other investment advisors will provide financial advice and make decisions without your approval in advance. For example, they conduct their research, make a decision to purchase a particular fund, and execute the transaction without any approval from you. These investment advisors are also known as discretionary advisors. So how are you better off? Should you select a non-discretionary or a discretionary advisor? Do you have the time to review investment recommendations? Do you have the requisite knowledge to know a good recommendation from a bad one? Are you readily available to make timely decisions? You should have absolute trust in the advisor before you give him discretion over your assets. You trust he is a competent professional. You trust he is ethical. And, you trust he puts your interests ahead of his own, which means he must be a financial fiduciary. This is the biggest issue that should impact your decision about discretion. A high percentage of investment advisors are non-discretionary because it reduces their accountability. For example, they made a recommendation, but you approved the recommendation. Who is accountable for the results, the investment advisor who made the recommendation or you because you approved it? You can see there is substantial wiggle room for the advisor if there is a non-discretionary relationship. On the other hand, if the advisor makes the recommendation, approves the recommendation, and executes the recommendation, he is clearly accountable for the outcome. On this basis you may want to select a discretionary investment advisor. Timing can be everything in the securities markets. What if you are extremely busy in your career or business or you spend a lot of time traveling. A non-discretionary investment advisor may have a hard time obtaining your approval, which could cost you money. In this situation you are also better off if you select a discretionary advisor. Regardless of the type of advisor you select, make sure they provide quarterly performance reports that document your results and transactions. You want this report even if you totally trust the advisor and you have given him discretion over your assets. This is the report card that tells you how your assets are performing. It also provides the information you need to hold your investment advisor accountable for producing competitive results. Never select an advisor who does not provide this service.